Dr. Chang received his first academic appointment in 2003 at the University of Wisconsin as an Assistant Professor of Medicine, Section of Cardiology. While there, he also held the position of Director of the Nuclear Cardiology Laboratory at the William S. Middleton Memorial VA Medical Center. 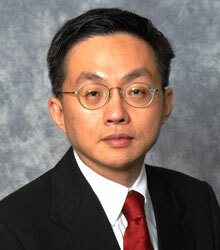 Dr. Chang held these positions until 2007 when he joined the Methodist DeBakey Heart and Vascular Center. Dr. Chang´s research concentrates on the use of computed tomography and other imaging methods to improve diagnostic accuracy and predict outcomes in patients with various forms of cardiovascular disease. Vukicevic, M, Faza , N, El-Tallawi, KC, Avenatti, E, Filippini, S, Chang, S-M, Chinnadurai, P, Barker, CM & Little, SH 2018, JACC: Cardiovascular Interventions.